Karman Cole is a long-time employee of Robert Garcia's parents in a personal assistant-like role (however, he is German, unlike the Garcia family) who has known Robert since he was a child. The Garcias have sent Karman to find their son after he disappeared to look for his old childhood friend Freia Lawrence which has led him to GlassHill Valley. Karmen is a loyal employee who seems very fond of Robert Garcia and lets him get away with much more than he should. 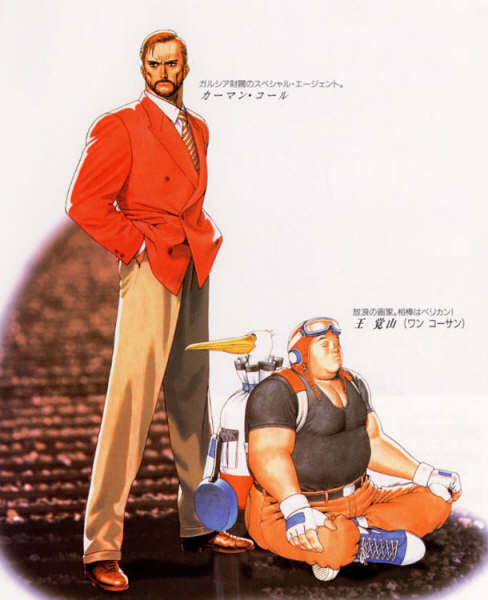 Karman also makes a cameo can in one the backgrounds of Capcom VS SNK 2 talking to Billy Kane. 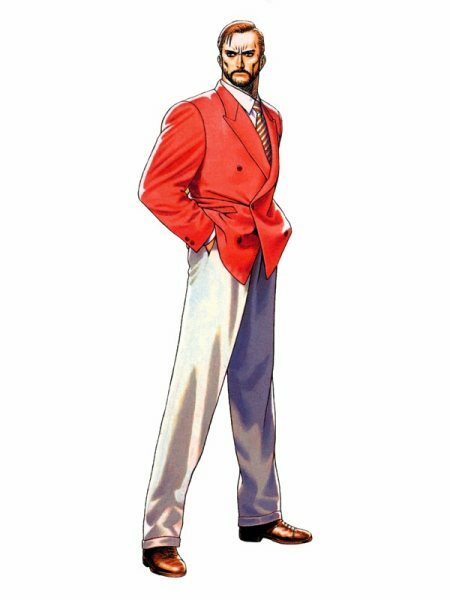 Coming from a company known for "vibrant" character designs... Karman Cole is a surprisingly plain SNK character - and probably one of the most bland SNK designs of all time. Karman really doesn't have much going on, visually. He's just a dude in a business suit who probably uses a ton of hair gel, and probably cheats on his wife. I don't know... he just looks like that type of guy. 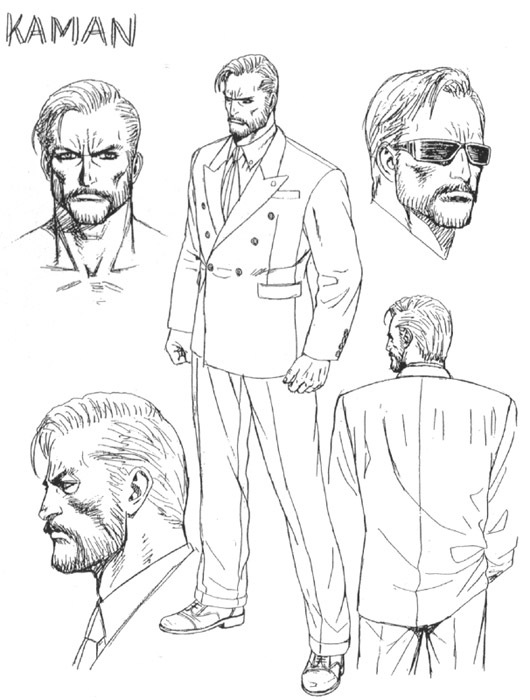 Karman's fighting style isn't anything extraordinary either, but his appearance in AOF3 isn't a complete failure. Most of his moves are pretty well-animated, and he fits into the more "realistic" vibe that AOF3 seemed to be going for. Other than that, he's a forgettable design for obvious reasons. 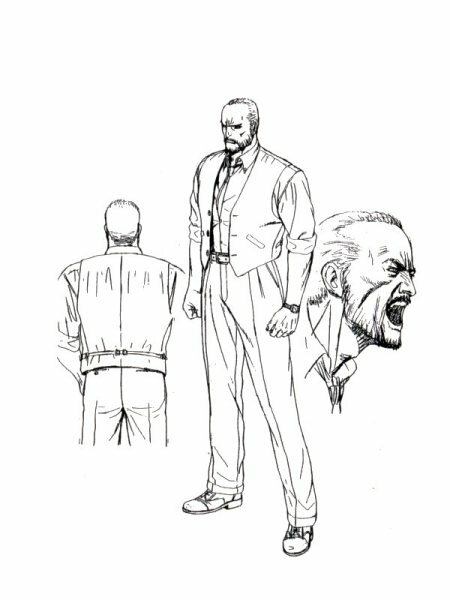 I like his concept art though.